For example, one of the participants had not been excluded from school as far as I could establish but in ‘leaving care’ at 16 years old, they had felt excluded because they could not continue with their education. They had to work to support themselves independently. Interesting. This led me to ponder on the term ‘exclusion’ even more deeply. Being acutely aware that many phrases and words become synonymous with legislation and professional speak (always makes me think of Hoover for Vacuum) I would suggest that the language can be difficult to own by the person who is experiencing it; leaving care, in care, excluded, section 20, reintegration, fixed term, not term, your bloody term! The Government website has what one might term as a narrow definition. So I asked Twitter to input and fill in the gaps in the variety of understandings and complexities around the word exclusion. 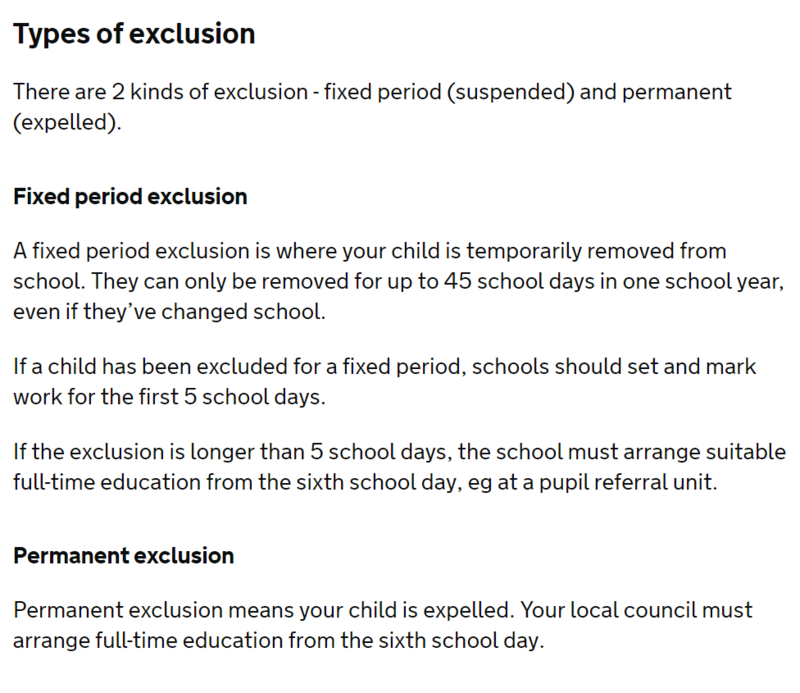 What is school exclusion, I asked the Twitterarti? Opening up is a great tweet from @starlightmckenzie highlighting immediately the variations on perceptions, experiences and voices. IMO "'exclusion' is range of behaviour management strategies ; in-school removal from class or breaktimes, isolation, detention; off-site informal and formal fixed-term exclusion where a child is sent home; permanent exclusion, off-rolling and formal permanent exclusion"
I will have a think on that, part of my argument for my assignment points to exclusions and the lack of clarity for terminology and the contradictions between policy and practice. How can you have a league system and then say you are inclusive too? What would you add to this discussion? How do we begin to bring policy and practice together through a deeper more nuanced understanding about exclusion and impact that is understandable by the people who decide? Children – people – need to belong. Exclusion means children feeling, and being made to feel, that they don’t belong. Yes… and by definition of feeling they don’t belong, losing that sense of belonging to something, which is why we hear of so many links between exclusion and criminal justice system for example. If we understand belonging as a human requirement, not belonging will be the focus of those who know how to exploit that ‘lack’. There’s still the expectation that children need to adapt their behaviour to the school context rather than school adapting to the child. True inclusion might start by asking the question about how we can change what we do to better fit this person’s needs or what are we doing/expecting that is causing/exacerbating this need or behaviour? Maybe it’s the will to see everyone as an individual and valuing differences rather than similarities. An orchestra only sounds so beautiful because of the variety of instruments all with unique sounds and parts.